Charge up your mobile devices wherever you go with the Power Vault. Its powerful 18,000mAh battery can juice your phone and tablets multiple times on a single charge, and its sleek body takes up minimal space in your backpack, purse or pocket. This essential battery pack is housed in a reinforced aluminum case so it’s lightweight, compact and durable. Plus, it can charge two devices at once, thanks to dual USB ports including a 2A high-output port for tablets. 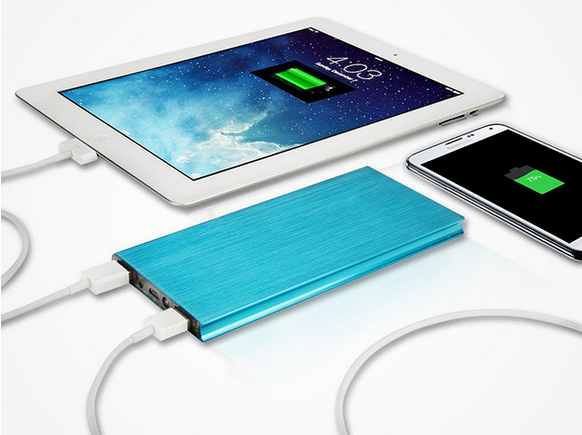 If you’re on the road often, the Power Vault is a must-have accessory for your gadgets. Order now for just $29.99 — that’s 72 percent off — from TNW Deals with free shipping across the US, and never worry about running out of power on the move again. It’s also available with international shipping for $34.99. Bonus Deal: Get the Speedy 50W 5-Port USB Charger for just $21.99!